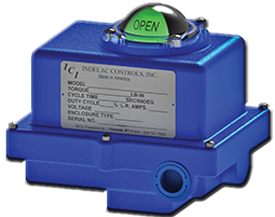 Electric actuators for eco-friendly automation | Indelac Controls, Inc.
Electric actuators have been used in many industries for tens of years but their positive impact on the environment is often disregarded. Nowadays many end-users and contractors are still choosing hydraulic or pneumatic systems over electric systems. 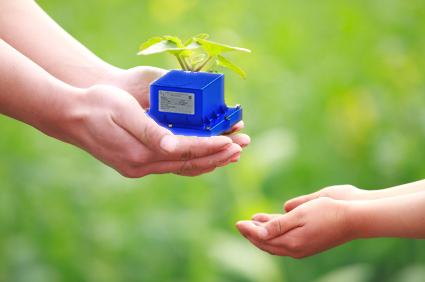 Electric actuators can do the same job with more environmental benefits. Using electric actuators not only reduce negative environmental impact, they require less energy to function and cut down on operating costs. Pneumatic systems often seem like the best automation solution because of their low initial cost. The pneumatic actuators are usually the most cost-effective option, but systems require secondary equipment, which implies more investment than what could have originally planned. The sheer simplicity of an electric system can make an electric actuator up to 80% more efficient than pneumatic one. See previous blog on How to select an Actuator (part. 1): Pneumatic vs. Electric for more details. Choosing a hydraulic actuator system can come with some advantages, but there is real setback with the ecological cost they bring. Each hydraulic actuator needs oil to work and that oil needs to be changed regularly. It may not seem like a big problem on a small scale, but concerns start to arise when a plant has tens or hundreds of them on their process line. Oppositely, electric actuators just don’t produce the same kind of waste oil. They require a small amount of grease for the motor but most of the time only one application will the entire lifetime of the actuator. Along with the problems that used oil produces, improper management of that waste can lead to spills or leaks can lead to unexpected cleanup costs. Electric systems avoid all of these problems. Hydraulic systems have often been the go-to product for the construction industry. The biggest argument for hydraulic actuators is the amount of sheer weight they can push and pull. Alternatively, electric actuators have quickly caught up to the force capabilities of electric actuators, and can perform as good, if not better, than hydraulic systems or pneumatic systems. At one time, electric technology may not have been a viable solution compare to hydraulics or pneumatics. But today, electric systems have advanced enough to bring the same kind of repeatability, consistency, accuracy and power as other alternatives.